There’s no shortage of online tutorials about painting furniture. And I’ve used a lot of them to paint dressers, console tables, chairs, mirrors, and more. But I have found issues with a lot of these tutorials — the paint chips, the finishes aren’t smooth, the paint peels — you get the picture. 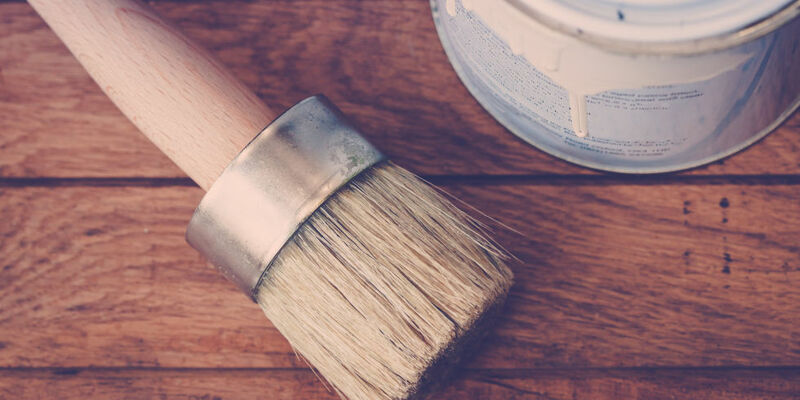 I’ve had to redo several furnishings in my DIY past, so I decided to compile all the mistakes I’ve made to help you give your furnishings a makeover that will last. There are lots of tutorials out there that claim you don’t need to sand. There are also lots of primers and paints promising no sanding necessary. From what I have learned, sanding is a must. Sand all surfaces with 150-grit sandpaper. (I use this orbital sander with variable speeds.) Be careful not to gouge the surface. You’re just looking to rough it up a little so the primer has something to adhere to; you’re not trying to strip the surface. 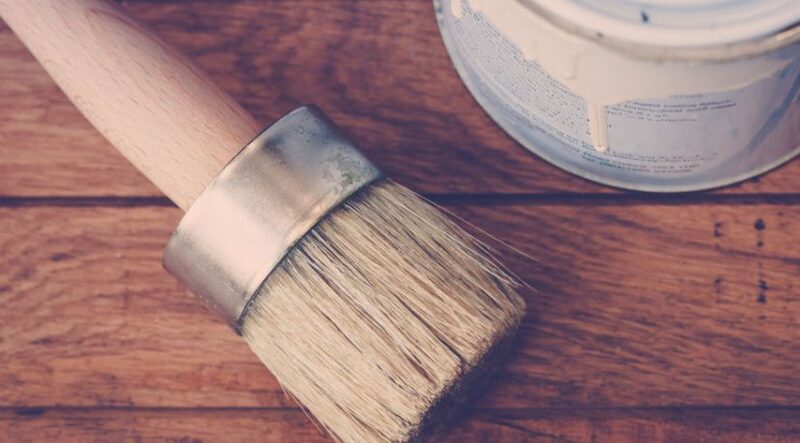 Use 80-grit if you are sanding a furnishing with an existing varnish. If you’re priming laminate furniture, use Zinsser B-I-N Shellac-based primer. Otherwise, use Zinsser Bulls-Eye 1-2-3 primer. Prime using a mini foam roller. Use a foam brush to get into any hard-to-reach areas. Let dry according to can instructions. Once your primer is fully dry, sand away any drips with a 220-grit sanding block, and wipe your piece down with a tack cloth. Use a mini foam roller to apply three thin coats of semi-gloss latex paint. Allow six to eight hours in between coats. It is important that you sand in-between coats if you have any drips or residue on the piece. Use the same sanding block and a NEW tack cloth. The new tack cloth is very important here. You need to remove every speck of lint and dust before applying the Polycrylic in the next step. It’s clear so everything shows. I’ve blamed everything from the dog to the paint for the tiny pieces of fuzz I’ve found when applying the Polycrylic, but it’s because I didn’t remove everything with the tack cloth.